If you have ever felt disgruntled about having to work over Christmas, spare a thought for the staff of Signy Research Station. The base is one of the UK's smallest. 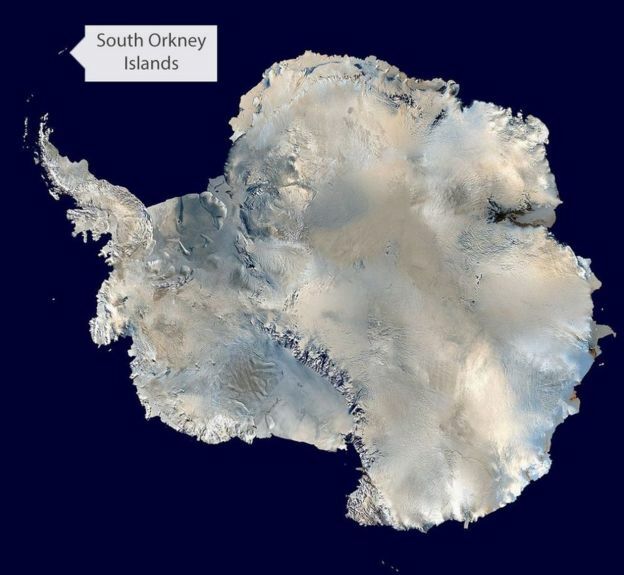 It is situated in the remote South Orkney Islands, about 375 miles (604 km) north of the Antarctic Peninsula. 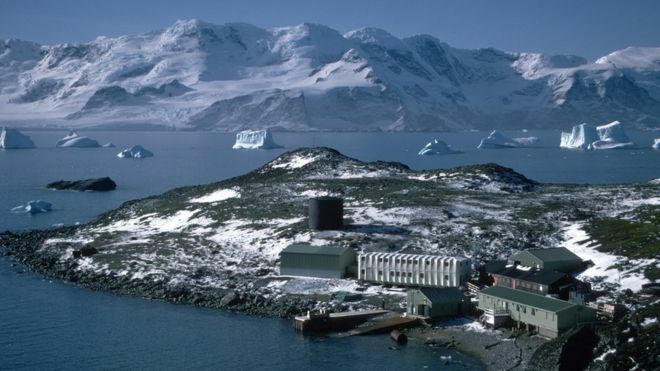 Seven people live and work on Signy Island, and are all spending 25 December there. Tim Morley, of Nottinghamshire, is looking forward to enjoying the snow. 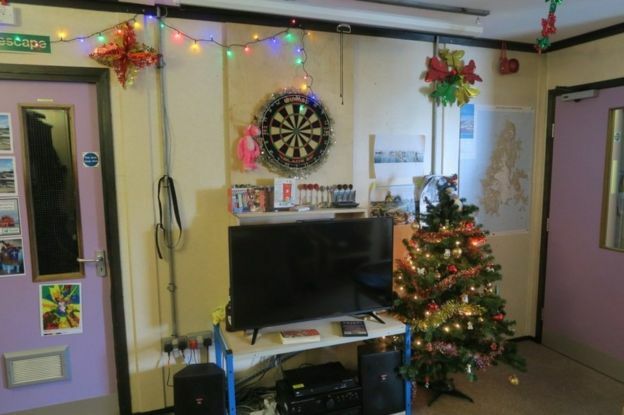 The 30-year-old, from Kimberley, said they put up the decorations about a week ago and have been watching Christmas films "to get into the spirit of things". He said: "Our station leader, by tradition, will be up early to start preparing the Christmas meal, which we will have around 14:00 our time." 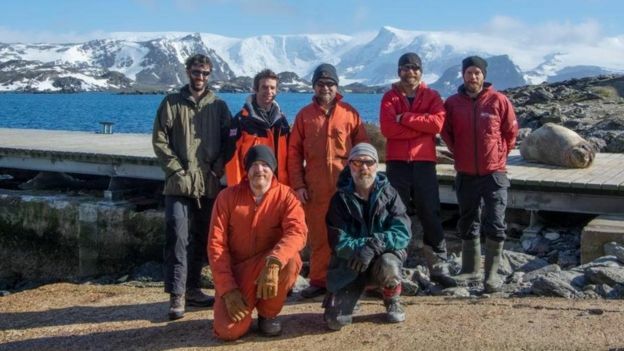 Mr Morley, who is a zoologist with the British Antarctic Survey, said they all had Christmas Day off. He said: "I might enjoy a hike in the hills, spend some time in the snow and get the benefits of a white Christmas." Then he will have Christmas dinner with his colleagues and speak to his parents and girlfriend on the phone. On Boxing Day he will visit the penguins. 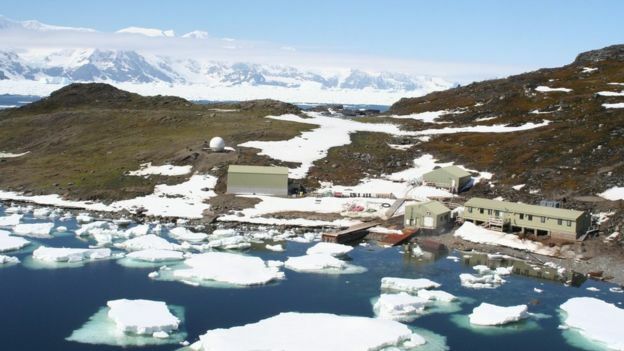 He said: "We are in the middle of the summer down here and the penguins are in the middle of their breeding season so the chances are I will be out on Boxing Day for a few hours at least to check up on them." 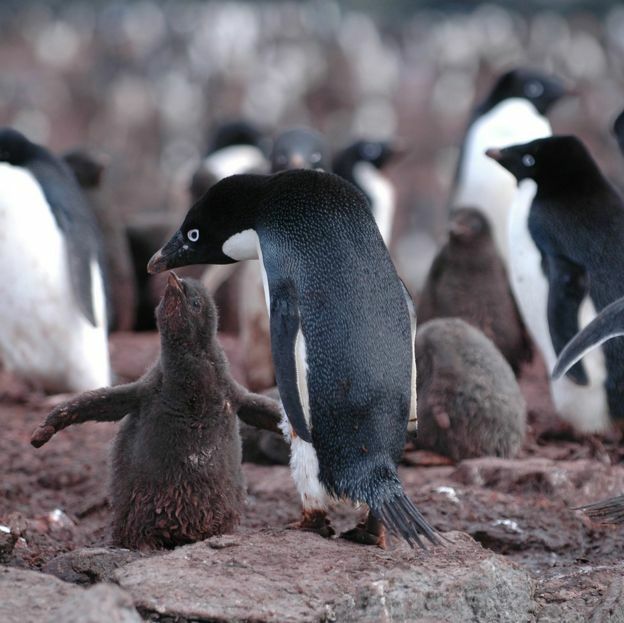 Mr Morley said the team was there mainly there to monitor penguin colonies, but also to study other birds such as giant petrels and blue-eyes shags, as well as elephant seal and fur seal colonies. He has been there since 10 November and will leave at the end of March. 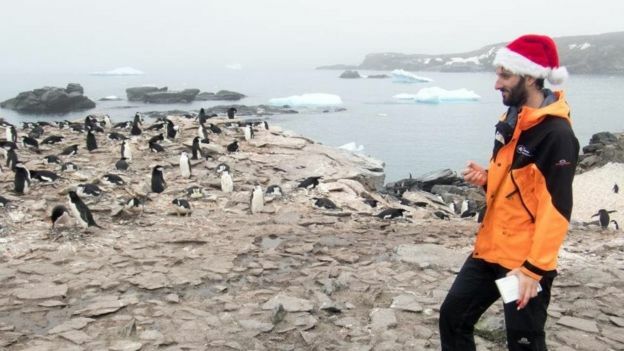 Although he has never spent Christmas on Signy, he has spent a couple on Bird Island in South Georgia, so is used to being away from family. He said: "It is always a bit disappointing to be away from loved ones, particularly partners, at that time of the year but we try to have as much contact as possible." mid summer in Antarctica.. balmy by the standards of the latitude. Nice weather for some bird watching. The islands are even warm enough for a variety of flora to live there. Holy Crap! Warm enough for a variety of flora to live there? Somebody better Carbon Tax those Penguins before things get out'a hand!